"We guarantee our pricing and our expertise is for free..."
safariFRANK works directly with you, the client on the one hand, and on the other with the operator in Africa that will be executing the safari. We don’t work through wholesalers or multiple layers of middlemen that add unnecessary cost to our safaris. The above guarantee makes it easy for clients to openly share their budget, without the fear that the itinerary will be priced up to meet the budget. This, in turn, makes it easy for us to work with you in an open and transparent manner, to make sure the itinerary completely fits your needs without wasting time and valuable resources. We focus on REAL wilderness experiences and these are often not the most expensive and luxurious options. There is no point in having a price guarantee if you are sold the most expensive accommodation options. In our view, these often detract from an authentic safari rather than add to it. 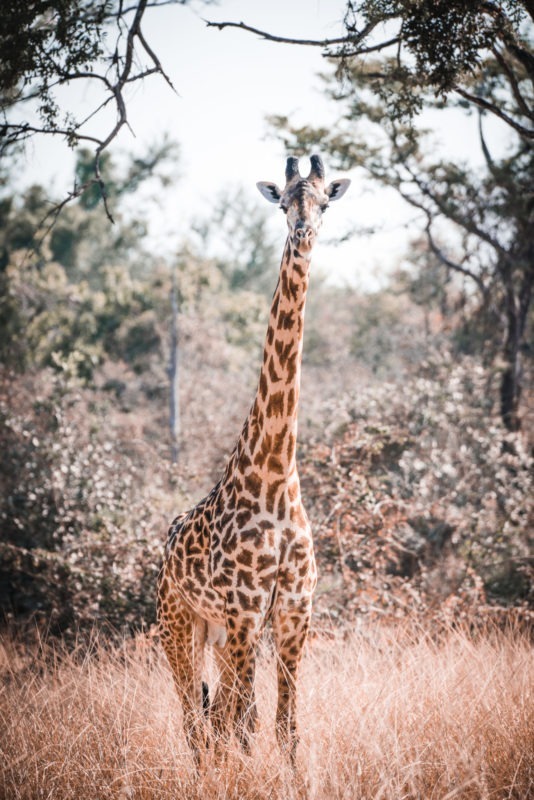 Whilst we are based in your home country and able to meet you face to face to discuss your safari needs, we also travel in Africa all the time and for a long time, narrowing down the choices for travellers based on our set of values and criteria. This means that we are able to offer you the best-suited product and will not offer the most expensive in the hope it won’t disappoint. That is like buying wine based on price and assuming it is a guarantee of quality and satisfaction! The most important of these criteria is a preference for intimate owner-operated establishments that focus on sustainability, conservation and ecotourism. This also ensures that your funds are spent ethically something we place great importance on. We partner with these select Africa-based operators building long-term, meaningful personal relationships. These guys become our friends and then they become yours too! We only promote these trusted operators making your decisions significantly easier, since we speak from first-hand experience. Due to these key relationships, we have negotiated the best rates possible and we guarantee you will not be able to do the safari at a lower cost than if you booked it all yourself. This means that our insight and experience comes at NO extra cost to you! The rates are shown our website are the supplier’s rack rates. This is the rate that they would charge you, should you approach them directly. We update these regularly but, keep in mind that most rack rates vary dependant on the time of year, the category of room and specials offered by suppliers from time to time. We quote in the ‘safari currency’ of the host country where the safari will be done, as we believe this to be the fairest and most transparent way to deal with currency fluctuations. There is no benefit to guests to price the currency risk into the safari cost, which is invariably done at a very high level to completely eliminate currency risk for travel agents. Guests are better off taking this risk themselves in an open and transparent way. This means that you can check currency fluctuations between the date of quote and date of payment should you wish. The ‘safari currencies’ for the countries are: Botswana (USD), Kenya (USD), Namibia (NAD), South Africa (ZAR), Tanzania (USD), Zambia (USD), Zimbabwe (USD). Any prices indicated in currencies other than the above for these countries are only indicative. The same goes for credit card fees which reflect the real cost of the financial system incurred when guests pay that way. These are not charged to all safari prices, only to those who are paying by credit card. We believe choice and transparency is king! We will give you a comprehensive quotation covering all expenses that you might incur on your trip. No hidden surprises and no hidden costs along the way, other than those expressly excluded such as tipping, which once again we believe should be in the discretion of guests for exceptional service! The above guarantee is based on one of safariFRANK’s key values which is, to be frank at all times!